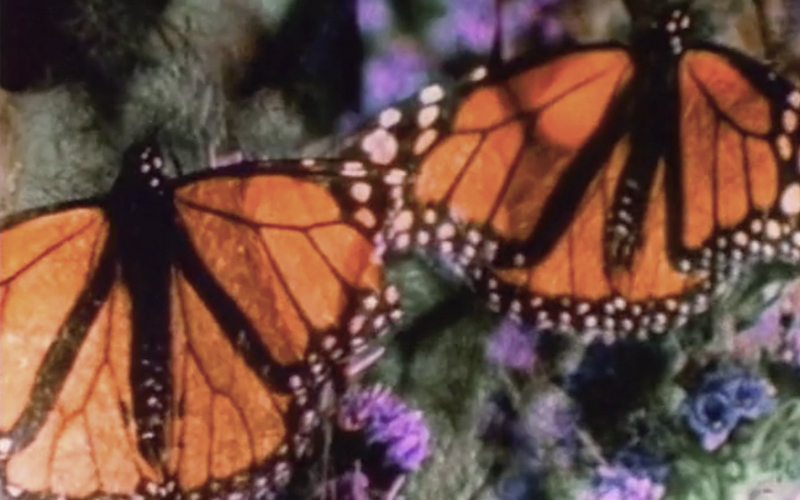 In June, the Modern Collection welcomes the cycle ‘Elemental Cinema: From the Alchemical Image to Ecofeminism’, which includes works that reveal ecological concerns, with a focus on female filmmakers. Expanding on the notion of elemental cinema, this film programme explores the relation between the human and the sensuous, intimate dimension of the material realm. It introduces a series of moving image experiments that reveal ecological concerns – by applying alternative film processing techniques that involve agents such as fungi or vegetables – as well as engage with the nonhuman point of view, testing the limits of the camera gaze, while challenging our entry point to the natural world. With a focus on female filmmakers, the works selected bridge forms of sensorial and pragmatic knowledge of the world, comprising reflections on geopoetics, ecofeminism, and speculative fiction, putting an emphasis on the current debate of our material ideations. The complete programme will be announced soon.